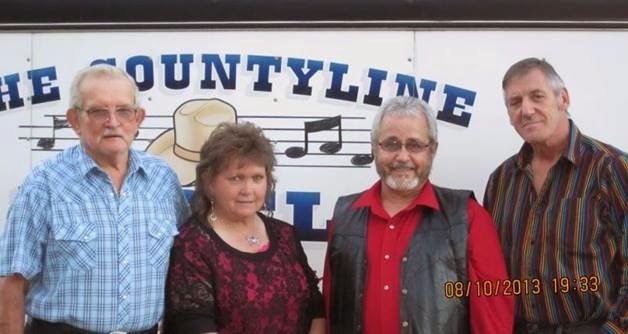 MAY 3, 2014 – The County Line Rebels – 9 pm to 1 am – Ask any of their fans and the phrase you’ll hear most often to describes The County Line Rebels is “unique new traditional music.” Founded in 1988, they have been going strong ever since. Their music is performed with power, conviction and respect for their audiences. They’re a musical experience you won’t want to miss…. They are one of the Northeast Country Music Association’s most award nominated groups, garnering nominations for awards as Entertainers of the Year, Vocal and Instrumental Group of the Year, and Sunrise Award almost every year since 1989. Individual members have been nominated for awards in various categories. Band leader, Howard Bellinger was the recipient of the Northeast CMA Pioneer Award in 2009. They hope you will allow them to “reintroduce” you to classic and new country along with some 50’s & 60’s rock ‘n roll thrown in just for fun! They also do square dances. In sum, The County Line Rebels are well‐seasoned professionals with experience and insight who have only their audience’s enjoyment at heart. You won’t want to miss this Good Old Country Time!!! $5.00 at the door, food and drink specials all evening!! !